We believe regular hydrobaths are an essential part of keeping your pets skin and coat healthy in our tropical environment. A hydrobath is a large fibreglass tub which has tanks and a pump attached. 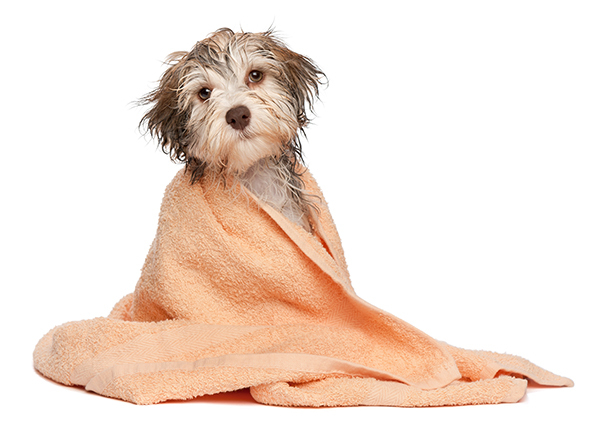 Flea rinse or shampoo is pumped out under high pressure through a shower rose, which is an extremely effective way to wash dogs especially those with thick coats.The pressure saturates the coat and massages the skin removing any dirt and debris. We use a range of shampoos and rinses which have a pleasant fragrance – no strong chemical smells and extra flea and tick washes can be added if required. So why don’t you treat your special friend with a hydrobath in our dedicated hydrobath room at the Ascot Veterinary Surgery? Easy access via our rear carpark means no trouble getting in and out of the bath. Our bath is open 9.00 – 4.00 Monday to Friday and Saturday 8.30 to 12.00. Bookings are required so just give us a call on 3268 2688. Your dog will look forward to our hydrobath each visit!